If you have been diagnosed with gout then you will be all too familiar with the acute attacks that are characterized by severe pain, tenderness and discoloured, reddish skin. All a result of several swollen joints that are warm to the touch. The bad news is gout cannot be cured. The good news is, it can be treated and the pain can be controlled with the help of many natural remedies and a little education. First things first. What is gout? Gout is one of the oldest known human diseases – dating right back to 2600 BC. It is a nasty form of inflammatory Arthritis caused by the crystallization of uric acid in the joints. To break it down - our bodies naturally produce uric acid when it breaks down purines, but most of us get rid of it without any problems via our urine. Purines are present in human cells but we also consume purines in the foods we eat, as they are found in the cells of plants and animals too. If levels of uric acid build up in our blood, it can collect in your joints as tiny, needle-like crystals which cause inflammation, redness and intense pain, a.k.a gout. Who is most affected by gout? Gout affects four times more men than women (sorry guys), primarily because women tend to have lower uric acid levels. It commonly develops in men between the ages of 30 and 50 and in women, typically after menopause. Unfortunately gout also has a family history attached to it, so if other members of your family have been diagnosed, you're more likely to develop the disease also. Other factors that may increase the risk of developing gout include: Diet - High purine foods including red meat, organ meats and shellfish. Alcohol, particularly beer, and beverages sweetened with fruit sugar (fructose) also promote higher levels of uric acid. Obesity - If you are overweight, your body produces more uric acid and your kidneys have to work much harder to try and eliminate it, thus increasing your risk of gout. Medical conditions - Untreated high blood pressure and chronic conditions such as diabetes, metabolic syndrome, and heart and kidney diseases. Certain medications - The use of thiazide diuretics — commonly used to treat hypertension — and low-dose aspirin can increase uric acid levels. As can the use of anti-rejection drugs prescribed for people who have undergone an organ transplant. What are the symptoms? The most common joint to be affected is the base of your big toe, but it can occur elsewhere in your feet as well as your ankles, knees, hands and wrists. The pain is likely to be most severe within the first 4 to 12 hours after it begins, as your joints swell and the skin around them gets hot and red. These symptoms can last anywhere from hours to weeks, depending on the severity and the slightest touch can be very hard to bear. Decreased joint mobility may also occur as gout progresses. If gout is left untreated, it can lead to deposits of uric acid crystals that form as lumps under the skin and around the joints. These lumps are called Tophi, and although usually painless, they can become swollen and tender during gout attacks. 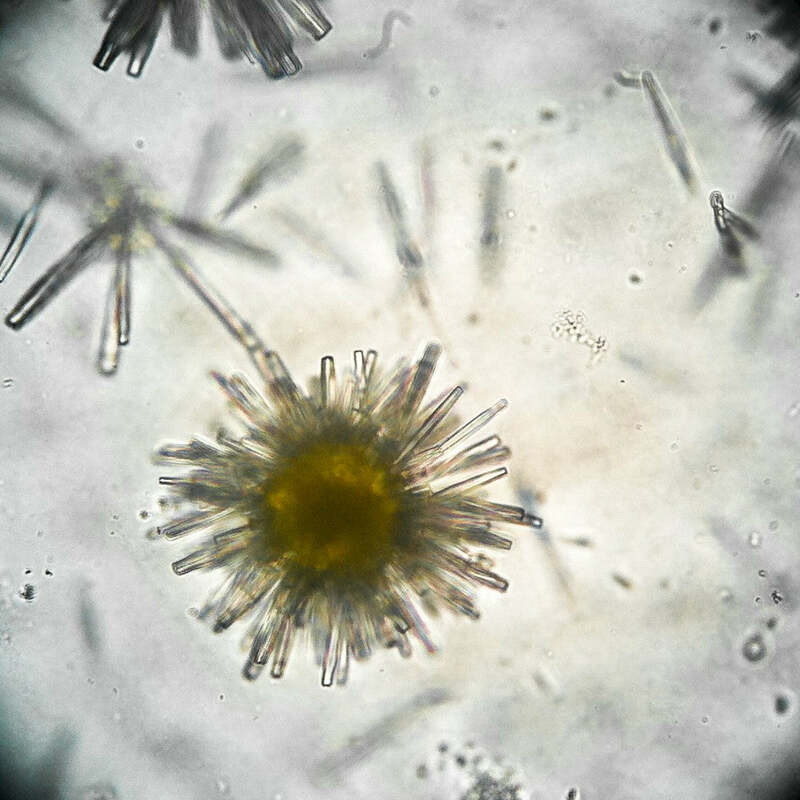 Urate crystals may also collect in the urinary tract of people suffering from gout and as a result, can cause kidney stones. So how you can you live with gout? The best and most important thing you can do to manage the symptoms of gout is to maintain a healthy diet and lifestyle. You can also use the following tips to treat the disease and make living with gout more bearable. Opt for an anti-inflammatory diet: To help reduce overall inflammation in the body, including pain associated with joint inflammation, try eating An anti-inflammatory diet. Reduce your intake of purine-rich foods: red meat, organ meats and shellfish are typically high in purines, so it’s best to opt for lower purine protein sources. Put a cherry on top: studies show that eating cherries or drinking tart cherry juice can reduce the occurrence of gout attacks, due to the high content of Vitamin C in the fruit. Avoid or reduce your alcohol intake: Sorry to be a killjoy but it’s time to step away from the booze, especially beer as it has promotes higher uric acid levels. Drink more water: Water is essential for maintaining kidney health and as uric acid is filtered through the kidneys for excretion, you must keep it in check! Maintain a healthy weight: Apart from being great for overall health, being physically active can help you maintain an optimum weight. As we mentioned earlier, overweight people are more likely to experience gout, but exercise can help to reduce uric acid levels in the body. Supplement in the right way: We suggest supplementing with Goutrin a powerful combination of five effective ingredients that work to reduce uric acid levels while relieving joint pain, stiffness and inflammation. 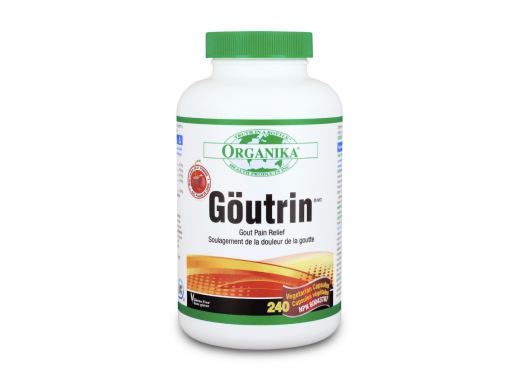 Goutrin contains cherry fruit powder, peppermint, thyme, celery seed and vitamin C all rich in antioxidants to help reduce oxidative stress on joints and manage the symptoms associated with gout. With this little extra knowledge and some coping mechanisms to help you manage your symptoms, you should now be better equipped to live, somewhat in harmony, with your Gout.